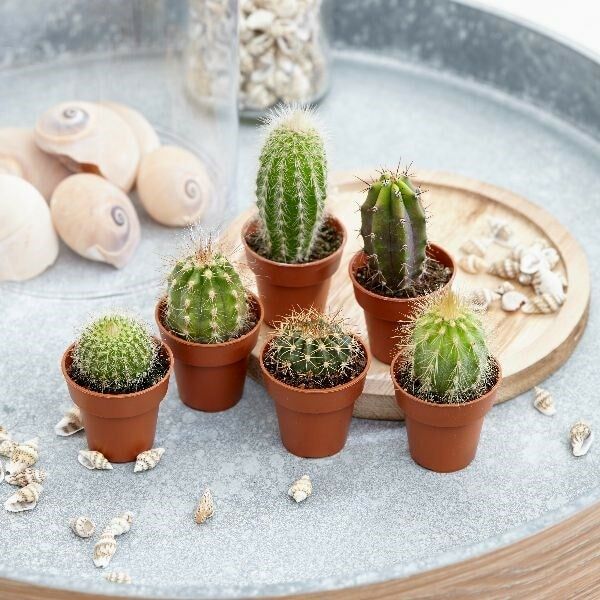 This set of 6 mixed (un-named) cacti make a great starter collection, and will look fab lined up on a bright windowsill, potted up together into one large bowl-shaped planter, or an open terrarium-style planter. They are incredibly easy to look after, so make a great option for the first-time house plant gardener. 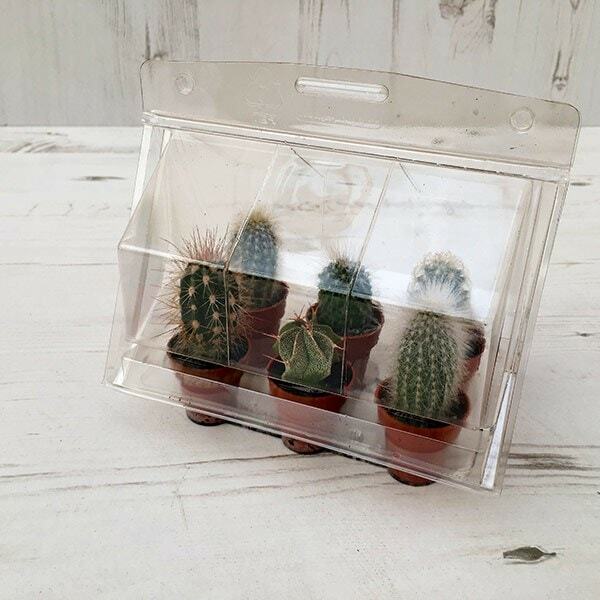 I have just received my cacti and I have noticed that their roots are poking out the bottom of the little pots, should I re-plant them in a bigger pot/one big communal pot? 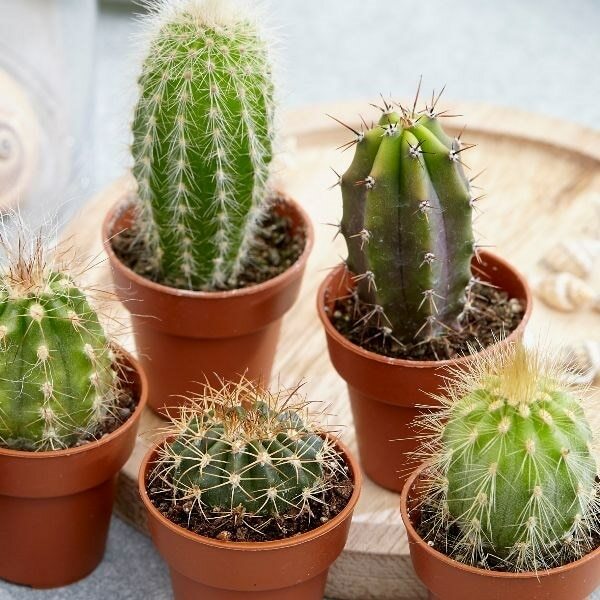 Hello, If the roots are starting to show through the bottom of the pot, then your cactus will benefit from being potted up (using cactus compost).